• Stuart Pearce is in his 15th season with the Facilities Operations/Event Management Department and his first as the Assistant AD for Event Management and Operations. This is his fifth year coordinating game operations at home football games. • During his tenure at Florida State, Pearce has coordinated all facets of support for 15 of the Seminoles’ 20 NCAA sports. He has served as the tournament director for three ACC Championships and NCAA Tournaments in soccer, golf, volleyball and track & field. 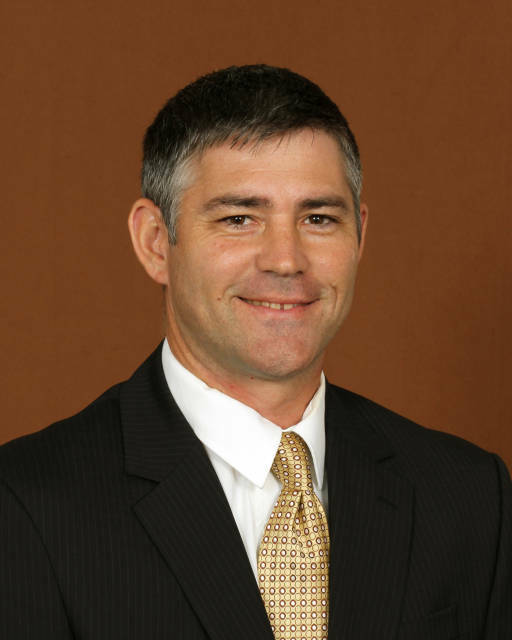 Pearce served as the event manager and facility coordinator for the 2001 and 2002 Florida High School Football Championships at Doak Campbell Stadium on the Florida State campus. • Pearce served as a member of the construction committee and worked closely with the construction firm on all aspects of the $6.1 million renovation and expansion of the McIntosh Track & Field Building. • Pearce is currently serving a three-year commitment on the ACC Women’s Golf Committee. • The Tallahassee, Fla., native earned his bachelor’s degree in sport management and his master’s degree in sport administration from Florida State. He also worked as an intern with the event management and facilities department before being hired full-time. • Pearce has been married to his wife Kerri for 14 years and they are the proud parents of five children Libby, Bryant, Jimmy, Halley and Robyn.